This is the tenth and final part of a blog series in which I’m learning to use fountain pens. For all the previous installments, click here. 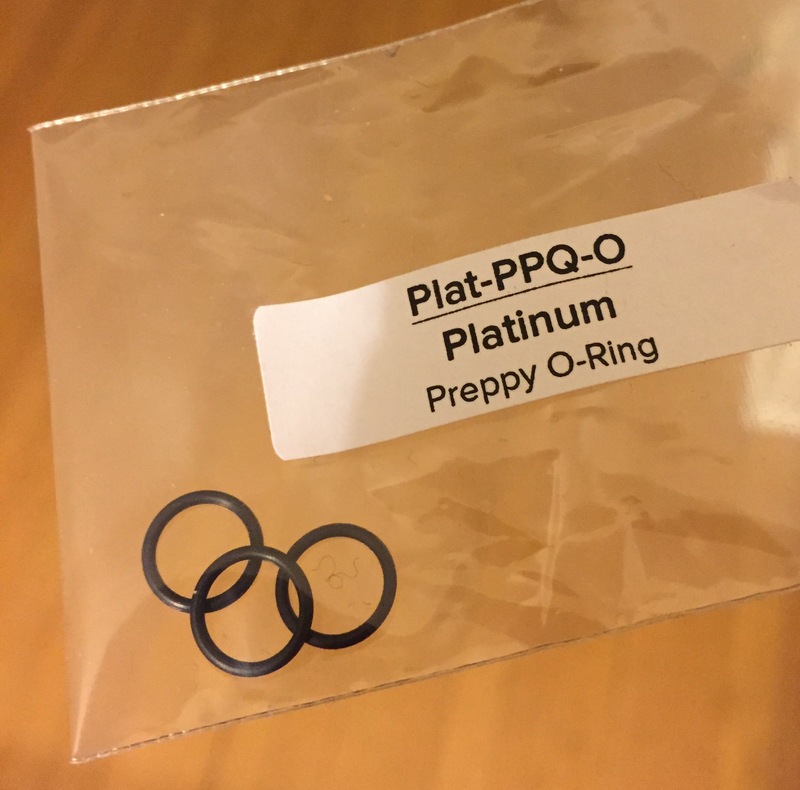 When I began writing this series of blog posts over two years, I’d hoped that I would be proficient with a fountain pen by the end. But now here I am, a collection of fountain pens surrounding me, and I still feel like a novice. These are surprisingly complicated stationery tools, and I could probably write a hundred posts in this series without feeling totally comfortable. Still, I’ve managed to learn a lot along the way, and, at the very least, I don’t find fountain pens as intimidating as I once did. So, now that I’ve literally and figuratively spilled a good deal of ink, it’s time to end this series with a fountain pen that I’ve been coveting since the very beginning: The Pilot Vanishing Point. The Vanishing Point’s claim to fame is that it’s one of the very few retractable fountain pens on the market, and it has been ever since the product line was introduced in the 1960s. Why don’t more manufacturers make retractable fountain pens? Well, when a fountain pen nib is exposed to air for too long, ink will dry up in and around the feed, which causes clogs that are a hassle to clean. But Pilot’s engineers solved this problem with a simple “trap door” mechanism that opens when the nib is ejected and seals shut when it is retracted. 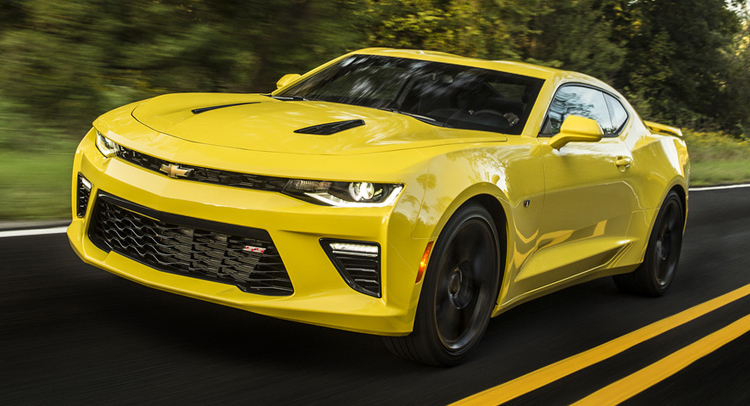 It’s a novelty – and I mean that in the best sense of the word – but it’s also expensive. So, after saving up a little, I spent the most amount of money I’ve ever spent on a pen, $134, and placed my order for a bright yellow Vanishing Point with a medium nib. When it arrived a few days later, I wasted no time before inking it up with a brown Iroshizuku (Pilot brand) ink. While a lot of other fountain pens can come across as pretentious or gaudy, the Vanishing Point’s sleek design is like writing with a Chevy Camaro. So handing it over to people who have zero experience with fountain pens is a lot of fun, if not also a bit risky. 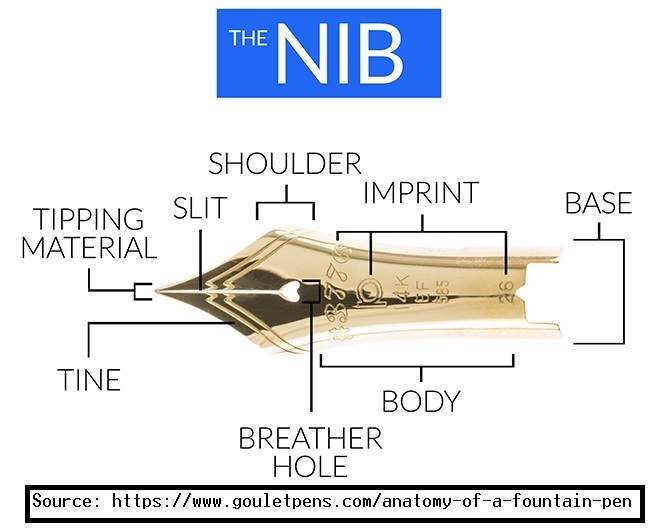 I’ve stood frozen with terror as a co-worker attempted to write with the nib upside-down and then proceeded to shake the bejeezus out of it when the ink wouldn’t flow. But these are the risks we take to show off a cool pen. And it is undoubtedly a cool pen. It writes smoothly, it looks good, and it’s generally just a pleasure to use. At the same time, it’s certainly not for everybody. For example, a lot has been written about this pen’s clip placement on the grip section of the barrel, and this is uncomfortable for some. Fortunately, I don’t have that problem, and if anything, I find that it helps me to hold the pen properly. The big downside for me – and this applies to all expensive pens – is that I don’t always feel comfortable using it. If I’m at my desk, and I’m using Pilot’s approved ink, it’s fine. But if I want to take this out and about or use it at work, I’m paranoid about losing or breaking it. And, yes, I suppose this is just a personal mental block that I’ll have to get over, but the concern is real enough for me. So, now the Nib Novice series is over, part of me wonders how much I’ll continue to use fountain pens. I have to admit that fountain pens never really clicked with me in the same way that they have for other people. Yes, I’ve learned a lot and had fun writing these posts, but I’ve also had my share of frustrating experiences. I also rarely find myself in situations where I need to sit down and write a lot, and ballpoints or gel pens tend to be much more convenient for me. I suspect that I will, at least on occasion, use these pens. They are great for writing cards and checks, and my girlfriend uses the Pilot V Pen for all sorts of things. Time will tell, I suppose. So you’ll just have to keep an eye out for more fountain pen reviews in the future. This is the ninth part in a series in which I’m learning to use fountain pens. For all the previous installments, click here. It’s probably an understatement to say that I have a fondness for the Retro 51 Tornado. Not only do I have an embarrassingly large collection myself, I’ve also given away many of them as gifts, hoping that others will appreciate the pen as I do. Of course I’ve been aware for a while that Retro 51 offers a fountain pen version of the Tornado. I even ordered one a few months ago, but it has been sitting, unopened, on my desk. Before cracking the packaging open, I promised myself that I’d do something I’ve been putting off: fountain pen cleaning. 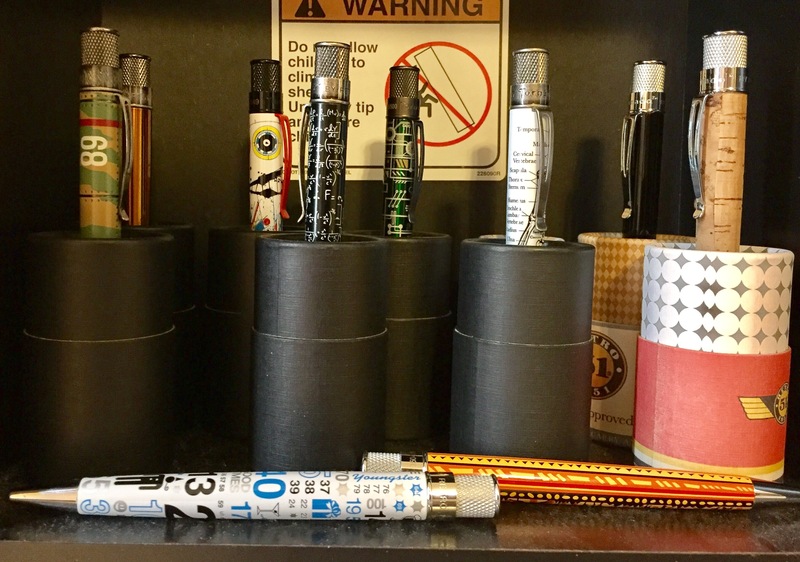 While I like the fountain pen collection I’ve built up over the course of writing this blog series, the simple fact is that I just don’t consistently use all of them. For example, my Parker 51 is great, but I feel guilty letting ink just sit inside a vintage pen. 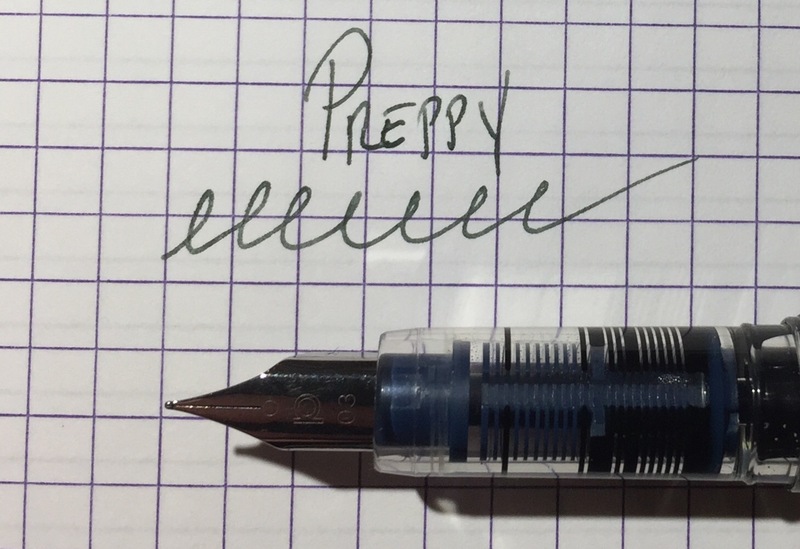 And I think it’s neat to have that counterfeit Lamy Safari in my collection, but I’m never going to actually use that piece of junk ever again. The good news is that Goulet Pens has a wonderful guide to pen cleaning. The bad news is that it is tedious as hell. 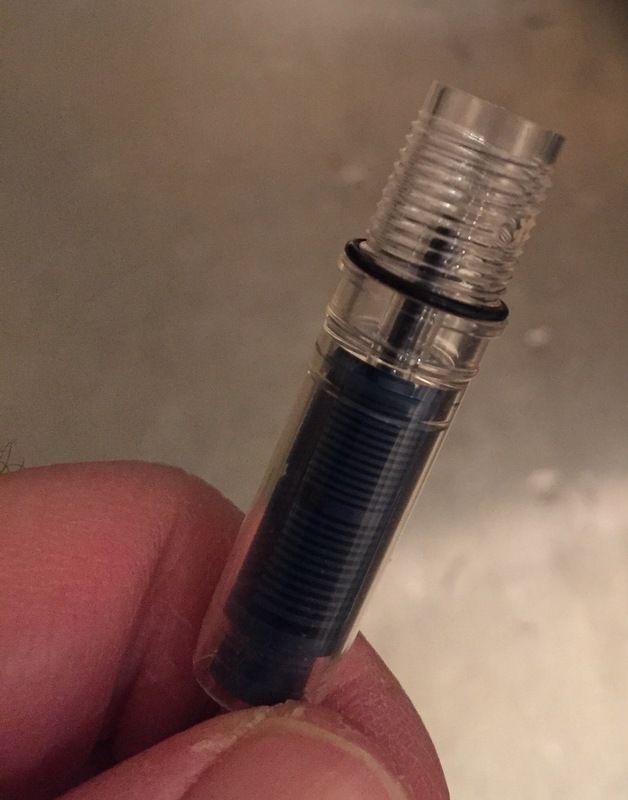 The procedure goes like this: fill a cup with room temperature water in a sink, then pull the water into your pen (via whatever filling system the pen happens to have), then flush the water back out. Keep doing this over and over, replacing the water every once in a while, until the water being flushed out of the pen comes clean. Wiping the nib down with a paper towel after a few flushes can speed the process up, but the whole thing still feels endless. The Parker 51, with its aerometric filling system, was pretty easy to clean. 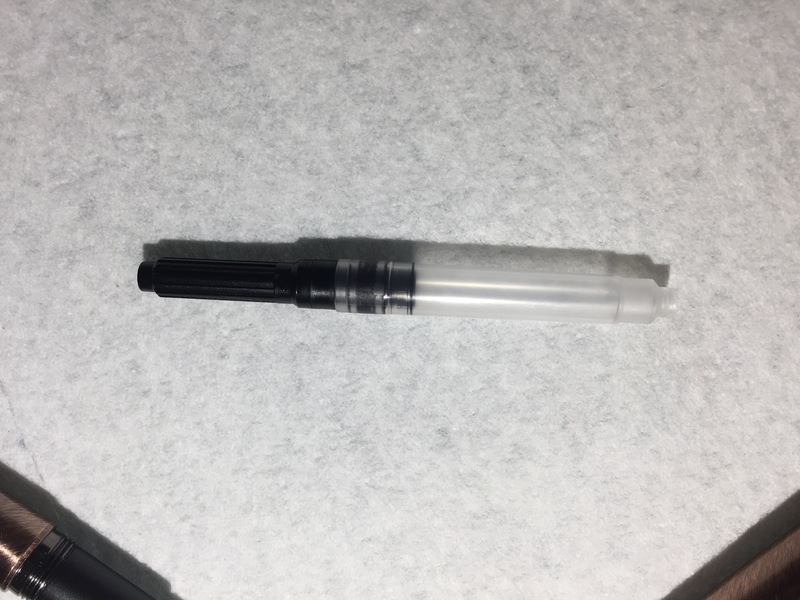 The counterfeit Lamy, on the other hand, required quite a lot of clockwise and counterclockwise twisting of the cartridge-converter. I have a couple more pens that I should probably clean, but, in all honesty, I currently lack the patience. So while letting the pens dry out overnight, I decided it was time to finally break out the Retro 51 Tornado Fountain Pen. 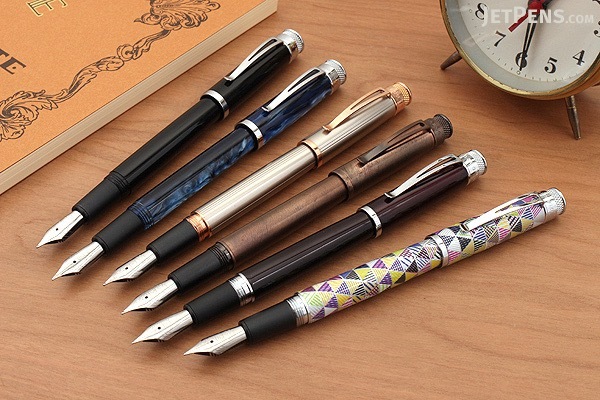 In typical Retro 51 fashion, the Tornado fountain pen is available in a bunch of styles. My choice was The Lincoln, a vintage-looking pen with a shiny, copper-colored coating. It’s got some weight to it, and it feels like a substantial pen. It uses a medium Schmidt nib and comes with both a cartridge-converter and a generic ink-filled cartridge. 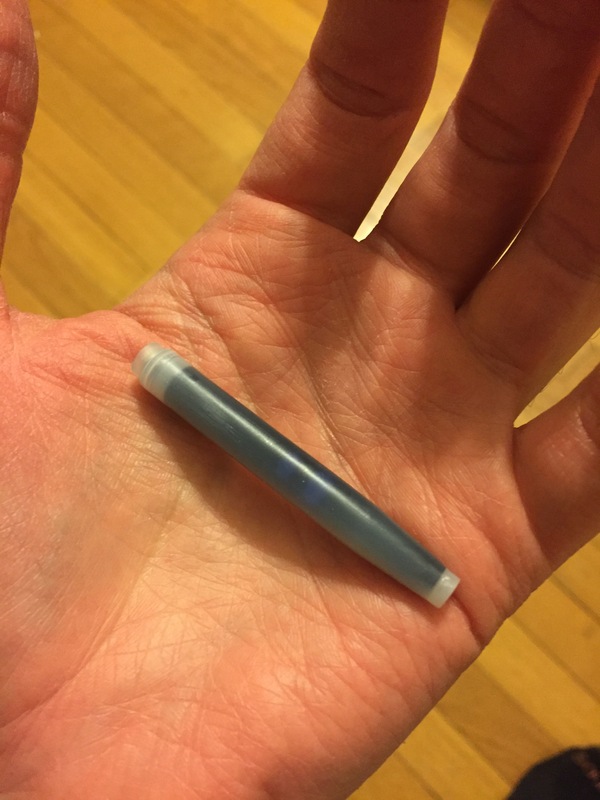 Initially, I was going to use the cartridge converter, and I even started filling the pen with some bottled ink. Then I remembered all the tedious cleaning I’d just finished, so I did an on-the-fly switch to the pre-filled cartridge. That probably wasn’t my best idea, as it caused a bit of a mess. 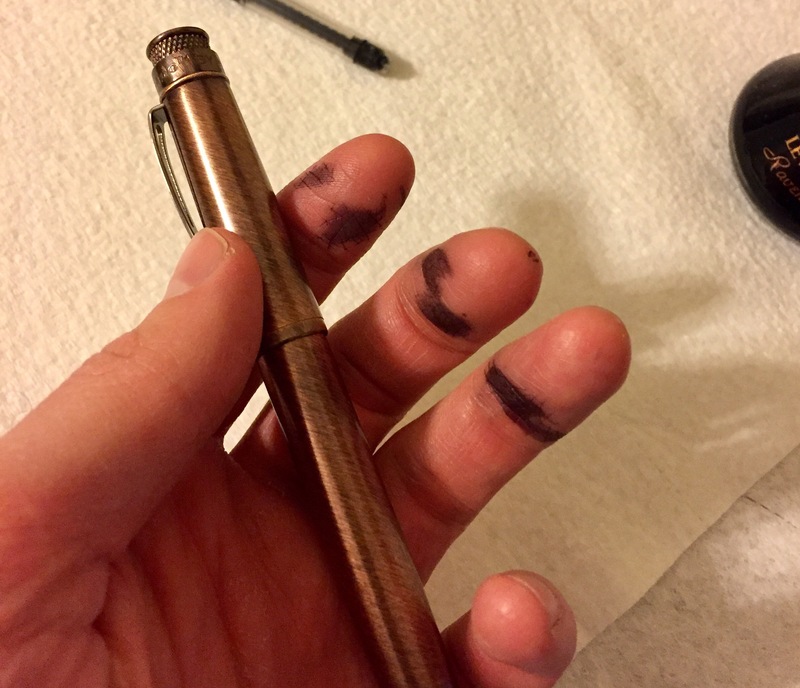 After using the Tornado fountain pen for a few days, I’m sad to say that I grew a little tired of it. I had some trouble with ink flow, particularly whenever I’d set the pen down for a few hours. But mostly, it worked just fine. I guess this one just didn’t blow me away in the same way that the TWSBI Eco did. It’s almost as if this Tornado fountain pen is one I’d rather look at than use – or maybe I’d rather just buy the rollberball version of the Lincoln instead. As someone who collects Retro 51 Tornado pens, that’s fine. I’m glad I have this pen. However, I wouldn’t necessarily recommend it to anyone else. Hopefully my next fountain pen pen – the final one I’ll be purchasing for this series – will leave more of an impression. This is the seventh part in a series in which I’m learning to use fountain pens. For all the previous installments, click here. If you watch a flex nib in action, you’re going to be impressed. It’s not only that they’re commonly used by professional calligraphers, but, due to their softer tines, flex nibs are capable of large variations in both line width and shading. I’d been looking forward to trying one out for a while, even though I already have a calligraphy pen that I rarely use. 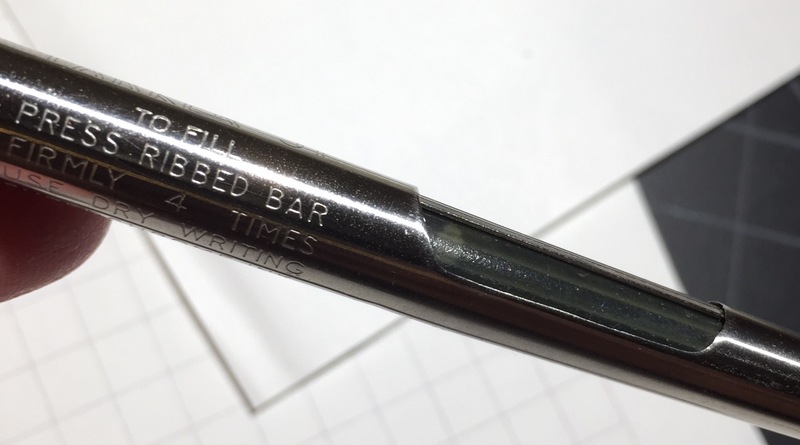 Unfortunately, outside of the vintage and high-end fountain pen markets, flex nibs can be hard to find. The popular brands, such as the Pilot Falcon, use gold as the primary nib material, putting them in the $150+ price range. 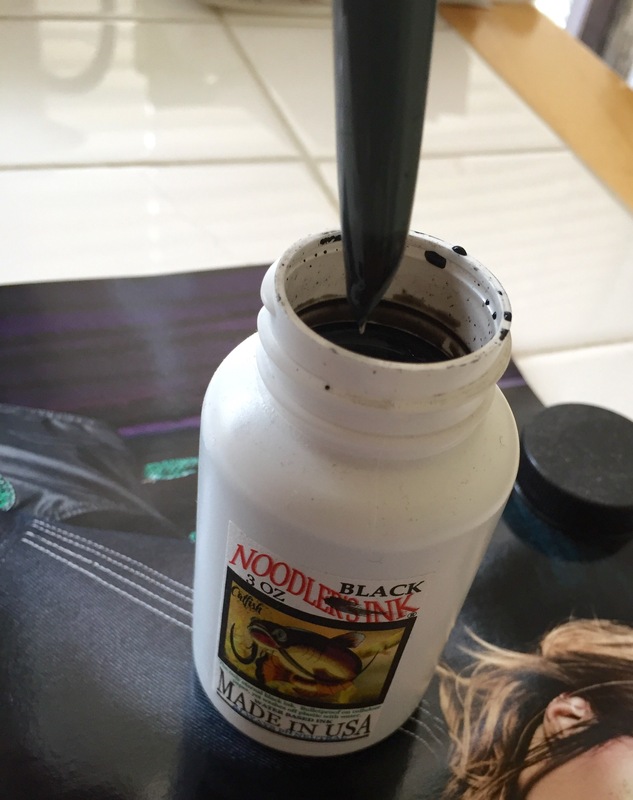 For something less expensive, the only option I’ve found is from Noodler’s Ink, which produces several lines of flex nib pens that cost anywhere from $15 to $75. So, not knowing if I’d actually enjoy this nib style, I went with something on the cheaper side: the Noodler’s Ahab with the”Bumblebee” barrel design, which cost me about $23. 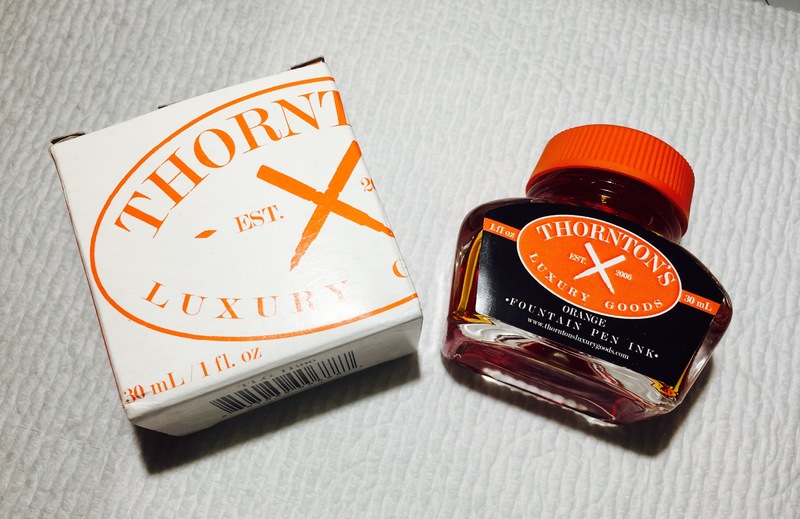 For ink, I went with Thornton’s Orange – a bright color to match the bright barrel – for an extra $9. After inking up the pen, I experienced some initial frustration until I found this guide from Goulet Pens, and I realized that operating a flex nib demands a different touch. Typically, fountain pens glide across a piece of paper with very little (or no) need to apply force. Flex nibs, on the other hand, require pressure. The more the nib is pressed down, the more the tines will separate (i.e. “flex”) to allow for greater ink flow. This line variability allows for some very artistic writing. However, it does take some practice to master. One guide at VintagePen.Net even asserts the importance of proper posture while writing with a flex nib. That may be overkill for a non-professional fountain pen user, but playing around with varying pressures and writing angles is still a lot of fun. 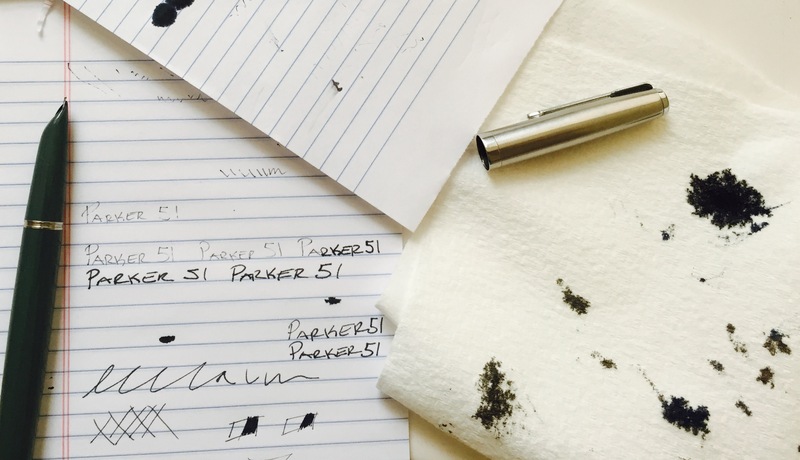 The Noodler’s Ahab – and flex nib fountain pens in general – are definitely not functional. By that I mean to say, you probably wouldn’t want to take notes with it. Flex nibs don’t seem to be very good with the block-style fonts like I typically use either. So, it would be rational to assume that I wouldn’t like this pen, but I do. This flex nib is such an enjoyable writing experience that I’ll find an excuse to use it… even if it’s only for signing holiday cards.